language goes on holiday: Did Wittgenstein believe in God? My view in a nutshell is that he is right on the edge between theism and atheism. More on the edge than I would have thought possible, like Robin Hood getting even closer to the bull’s-eye than anyone else by splitting an arrow that was already there. He sometimes chides himself for having only weak faith, but his faith is weak. He wrestles with God, with himself, with his faith, and with his relative lack of faith. He is clearly attracted to Christianity, but he rejects it. 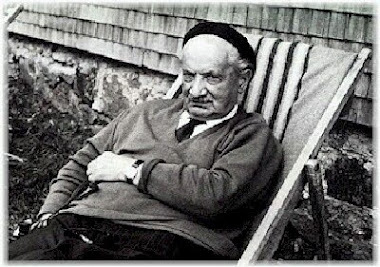 For instance, in February 1937 he writes that he rejects “the Christian solution of the problem of life (salvation, resurrection, judgement, heaven, hell).”[i] He still has a relationship with God, peppering his writings with such expressions as “God willing” and “Thank God” in a way that is clearly not just a manner of speaking. No atheist would write “God! let me come into a relationship with you in which I “can be cheerful in my work”!”[ii] At the same time, though, this remark shows that he is not in the kind of relationship he wants. Now I often tell myself in doubtful times: “There is no one here.” and look around. Would that this not become something base in me! I think I should tell myself: “Don’t be servile in your religion!” Or try not to be! For that is in the direction of superstition. Should we call this unnoticed, meaning-giving illumination God? It would be misleading to label Wittgenstein as either a theist or an atheist. He wears religious language like a necessary but ill-fitting and uncomfortable garment. Yet he won’t take it off, and sometimes seems to feel an obligation toward it, however much he is inclined to rebel against it. What is interesting is not the generalizations or labels but the details of his case. [i] Wittgenstein Public and Private Occasions, edited by James C. Klagge and Alfred Nordmann, Rowman & Littlefield, 2003, p. 169. [ii] Ibid., p. 181, from 15th February 1937. [iii] Simone Weil, Gravity and Grace, translated by Emma Crawford and Mario von der Ruhr, Routledge Classics, 2002, p. 114. [iv] Wittgenstein 2003, p. 199. I think that he was neither a theist nor an atheist, at least not as those terms are standardly used (and how else are we to use them?). He has a religious point of view, but not religious belief. So maybe it's no better to call him a religiously-inclined atheist (as I did in an earlier draft) than to call him a non-religious theist. A religious question is either a question of life or it is (empty) chatter. This language game--one could say--gets played only with questions of life. Much like the word "ouch" does not have any meaning--except as a scream of pain. It seems to me that he's not sure whether his faith (if that is the right word for it) is rubbish or not. Maybe this is a common concern for believers, but if so that does not prove that he is a real believer. Is his way of life dependent on God? He doesn't seem sure. And so I, taking him at his word as best I can, am not sure either. Anyway, that's a nice ending. He seems to be an unbeliever in the sense that belief is not quite the phenomenon, although the problem might be more with how we (or I) think of belief, e.g. as a propositional attitude. I might almost call him a compelled but reluctant believer otherwise. I think that his philosophy does not tell you to believe in god. I think for him god is not something you can really talk about. As for his persomal life he believed very strongly in "god" and pretty much only read christian philosophers like augastine and the bible. Would u like to share your point of view once again please on this particular sense " As for his persomal life he believed very strongly in "god" and pretty much only read christian philosophers like augastine and the bible. It would be very much helpful for my project on his Religious Belief. His view seems awfully similar to Kant, who seemed to view religion as roughly equivalent and useful for morality. Am I off base here? I think it may be problematic to say "he believed" or "did not" or whatever. The fact of the matter is that this question seems in flux throughout life. He clearly believed in the war. As Monk correctly notes, he was borderline evangelical during some of those years. As he goes through life, this issue meanders but always remains always a concern. I tell my students that, if anything, he was spiritual but not religious. He clearly thought atheists (Russell) were narrow minded, as, I think, everyone should. He understood that the grammar of religious claims was such that the matter had nothing to do with evidence and everything to do with the unknown. As such, spirituality as an affect was no different than love or trust. It was a psychological matter predicated upon something unknowable. It would be the same thing as asking someone what they thought would be a good ending to a movie they were watching. In this sense, I think Wittgenstein preferred a theistic ending; it would have made the movie better. And I don't think he would be surprised if such an ending in fact were to occur. But he knew that the matter was not resolvable by any means of knowing here and now. He did indicate in 1937 why he was inclined to believe in the resurrection. And he also had a priest of some sort come to his deathbed. The Tractatus probably had it right: the matter belongs to the realm of the unsayable. Another thing that must be asked is how autistic personalities of a certain kind are supposed to be religious. For if the mind works as his does, there are certain things from the start that seem to be different from the way others go about it. In many ways, that may be the crux of the problem: his mind wanted to understand god intellectually. That is, the idea of god. And this is why the matter is in flux and hard to resolve in ways it is not for others. Reminds me of asking what Bob Dylan thinks of Jesus. Bound to get a food fight. Spiritual but not religious is about right, although it was specifically Christianity that attracted him. And I agree that it is very hard to characterize his relation to Christianity without distortion, but I think it's much closer to the truth to say that he was not a Christian than to say that he was one. I'm not sure about your suggestion that "I don't think he would be surprised if such an ending in fact were to occur." If you mean that no one would have been very surprised if he had become a Christian late in his life then fair enough. If you mean that he would not have been surprised if, having died, he found himself in the presence of God then I can't agree. So far as it makes sense to talk like this I think anyone, believer or unbeliever, would be utterly amazed to meet God. But this kind of talk strikes me as profoundly un-Wittgensteinian. He did not think like this (as if the existence of God were a knowable unknown) at all. ... well, I would agree. But let's do it this way. Some people see the failings of humanity -- and in some cases, the atrocities of it -- as "proof" that God cannot exist. These people reason that god stories like that of Christianity seem inherently problematic in the fact of things like the holocaust, for example. I think it was Ted Drange who popularized an argument about how easy it would be for God to simply appear, and let people know he was "real" -- and therefore the choice of cruelty could now be seen as being certainly consequential. But there is another way of looking at it. One looks at the mess of humanity -- how terribly atrocious humans as a species are -- and reaches a pivotal thought: that the only away this god-awful life could be, is if if didn't really matter. As if, it were a kind of preseason. As if the pains and oppressions could all be as a dream, washed away when the form of life changed. And that, as such, the theistic picture made for a better ending of the movie. And that one reached this decision, not as fact, proof or science -- but as connoisseur judgment. An artisan of life would simply note that the ending would be better one way than the other. And that doesn't mean that it DOES end that way -- we've all seen terrible movies. 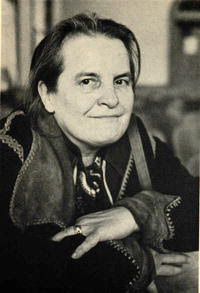 But it means that there is something in the assertability conditions of life -- the way the form of life is -- which suggests that theism would make better sense of the chaos and the loss. There would be a kind of congruency. And that, to think of the other possibility -- humanity being a random wart and really just a fart of some kind -- presents such a dismal picture of account as to make the whole thing fundamentally depressing at a very deep level on understanding. This, I think, is what motivates Wittgenstein's comments on the resurrection. If we grant that autistic personalities of his type are hit with ideas harder that you and I -- he's shaken by them -- then we might come to see what, in that discreet moment, would cause someone like him (an intellectual), to believe that Jesus (himself) came out of the grave. For if he didn't, he cannot help, and we remain marooned, as it were, cut off from any help from being the thoroughly disgusting creatures that we surely are. People do try to argue from evil to the non-existence of God, it's true. But it's also possible for such evil simply to make it impossible to believe. It's cause and effect, not rational inference. And the hope that faith offers might work in a similar way--it might be impossible (for some people, in some circumstances) not to believe, given the need to go on, to make sense of things, and so on. But as soon as it is possible to make a choice about what to believe then the danger of wishful thinking arises. I think Wittgenstein would reject any un-earned consolation. That's based on my sense of him as a person, though, not anything I could really cite as proof. Nice piece. "So maybe it's no better to call him a religiously-inclined atheist (as I did in an earlier draft) than to call him a non-religious theist." FWIW, I think it IS better to call him a religiously-inclined atheist. He certainly has a deeply seated religious way of looking at the world, but as most people understand the term "theism" he was not a theist. Thanks. Yes, "religiously-inclined atheist" sounds more accurate to me. ... I think the most accurate characterization would be "spiritually-inclined agnostic." I mean, that would fit a great deal of quotes and much behavior. That's not bad either. The quotes and behavior are the most important thing. I thing this is the best option so far. 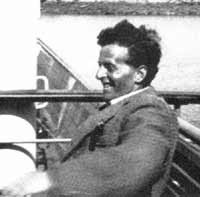 I would only note, Wittgenstein's quest for honesty, as the enabler of accurate reason and discussion of thoughts and concepts, which translates to me as a possible presence of his own God or spiritual being, in a form of critical and almost moral consciousness. On the other hand, his honesty in, not dennying or accepting God, and the conclusion of "no discussion" on the matter, is surely the mark of an agnostic. Yes, although the word 'agnostic' is often taken to refer to someone who thinks that God either exists or does not exist but is not sure which of these is the case. That doesn't describe Wittgenstein at all, it seems to me. He certainly went through periods of religious uncertainty, but this uncertainty is not best understood as being about whether something or someone exists. In short, I don't like the connotations of the word 'agnostic'. As an admirer/reader of Wittgenstein I see here (in Wittgenstein's case) the likely dilemma of the believer flourishing amidst an academic world of non-believers (a la Russell) and who can't really (or at least does so with great difficulty) show the consistency with personal religious belief of even his own language beliefs. I'm glad I discovered your blog. Thanks. Yes, he certainly struggled with the prevailing academic culture. I am really wanting to know why this matters. I'm quite serious. Did Wittgenstein contribute something significant to understanding religion, why people are religious, what it feels like to be religious? Honestly, I don't see any insights there that would make me even curious about his own religious beliefs or lack thereof. Whether Wittgenstein believed in God does not matter, but it's a question that some people are interested in. There's nothing wrong with not being one of them. Did he contribute something significant to understanding religion? I think so, but perhaps mostly in a negative way, pointing out flaws in various ways of thinking about religion. He has next to nothing to say about why people are religious or what it feels like to be religious.